The whole area of the site is not very big. 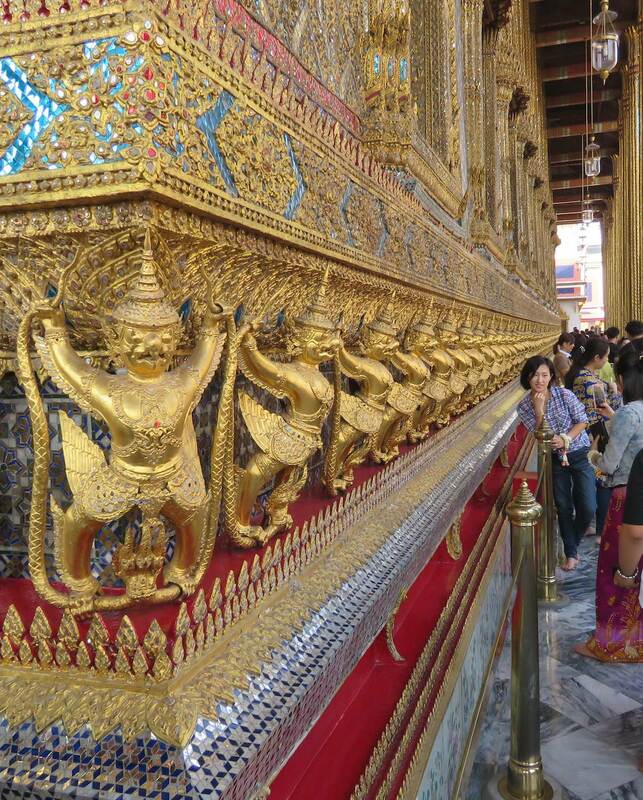 So you have lots of temples packed in a small space and I found my neck muscles didn’t seem to be too happy after awhile. 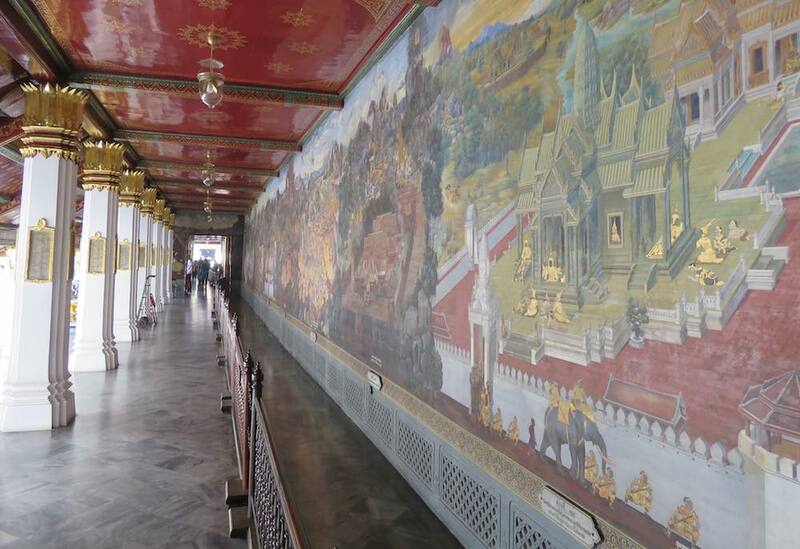 The temple grounds are surrounded by a wall and the inside of that wall is covered in paintings. Given all the other spectacular views these are not given much attention by most visitors by they are very interesting themselves. 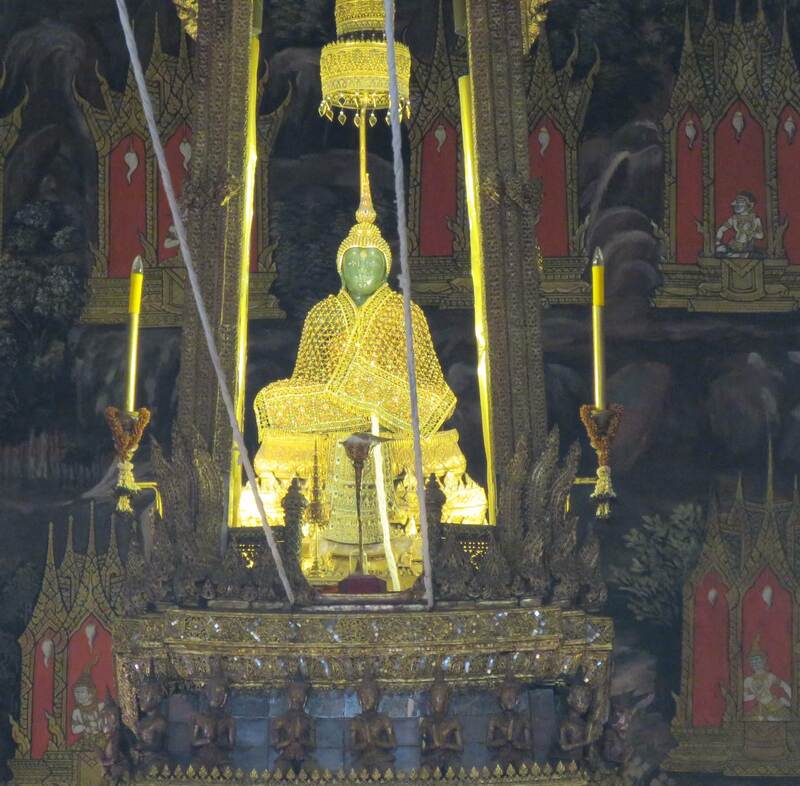 The Emerald Buddha itself is placed high above ground level and isn’t easy to see (unless maybe you have eagle eyes) so this photo lets you get a clearer view then when you visit. But the photo misses the surroundings. 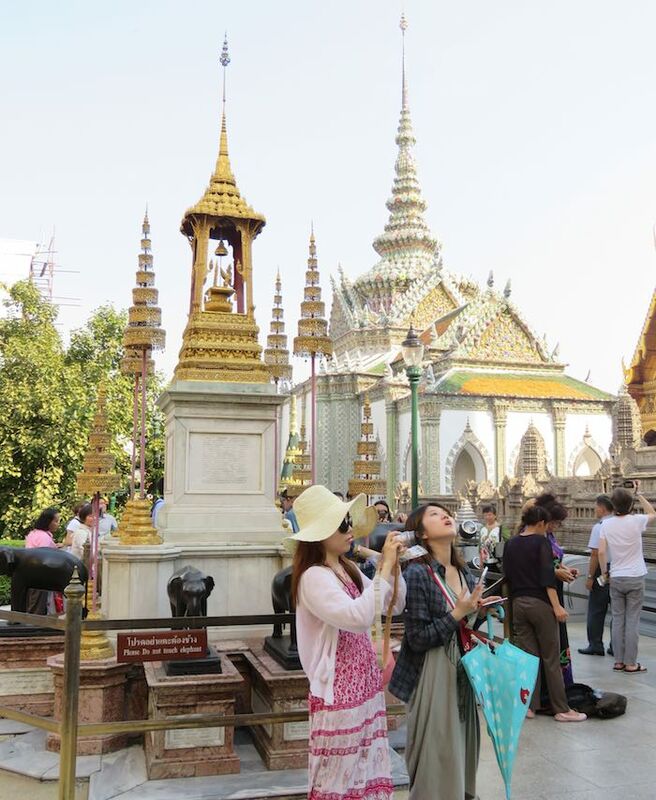 For Buddhist the temple is a place of worship. It’s my favourite place also! 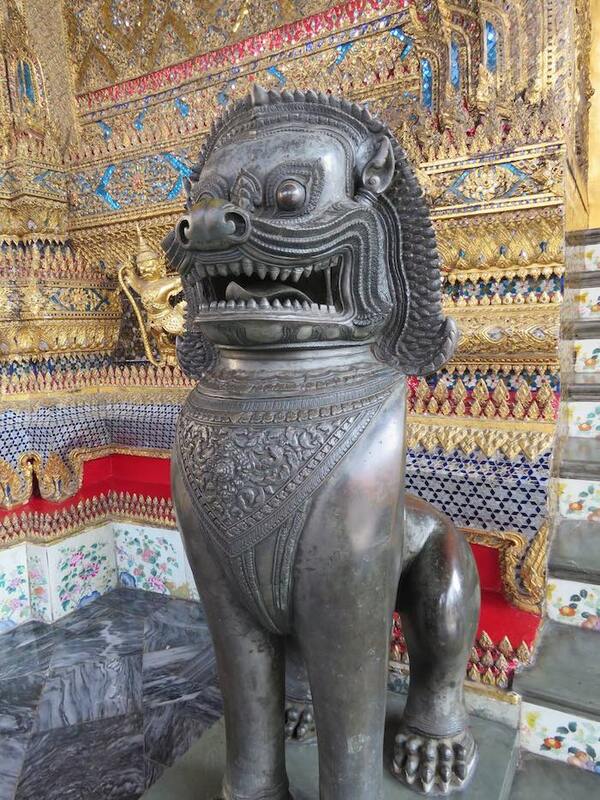 Sadly, the Grand Palace will be closed on 1-2 December and 5-6 December 2016.